Are there any restaurants that you've been meaning to try for awhile and every time you try, they are either too busy or closed randomly? Well for myself, that particular restaurant is Malay Curry House. For the 3rd time, it was an epic fail since they were closed once again for the long weekend (last time, it was Summer holidays). Hey, I don't blame them since everyone deserves a vacation, but it doesn't do much for my food adventures. Furthermore, with Costanza, Elaine and the kiddies joining us, we had to choose a backup plan quick. So we ended up heading over to Benss Cafe on Victoria instead. 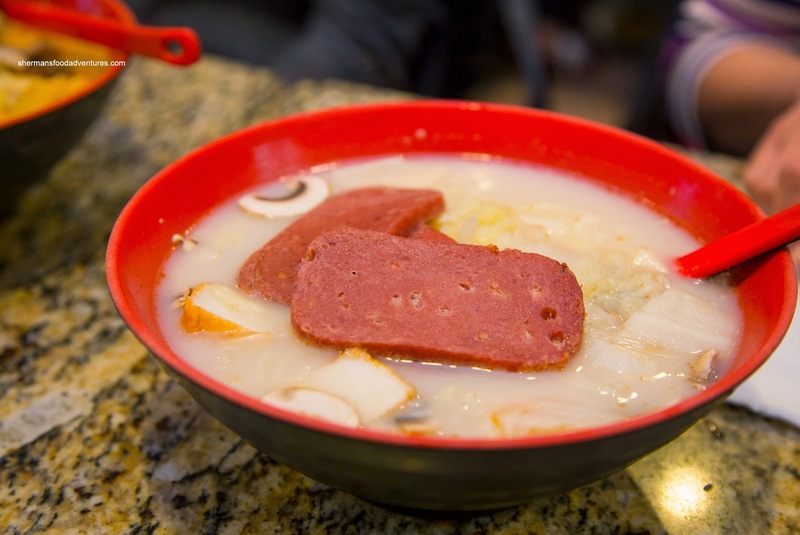 Interestingly, despite being a "Hong Kong-style cafe", their menu includes hot pot rice much like The One Spot down the road and build-you-own-noodle much like the somewhat nearby Deer Garden on Fraser. Can one place do it all? To test this theory, we started with Vermicelli in Laksa Broth with chive dumplings and beef brisket. This was a fairly mild and watery version where it was more coconutty than fragrant and spicy. The noodles were cooked right while the brisket was fatty and decently tender. The dumplings were a bit doughy but okay. We also got an Udon in Original Fish Broth with fish tofu and luncheon meat (the kids wanted it). Well, the broth was pretty tasteless and completely lacking in body. I wouldn't recommend anyone ordering this. 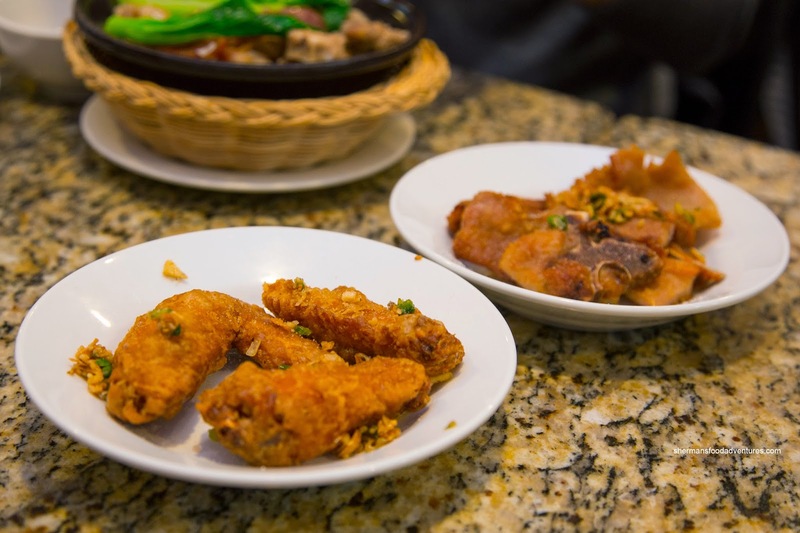 We also got 2 sides consisting of Fried Chicken Wings and Fried Pork Chop. These were deep-fried properly being crisp on the outside. However, the wings were a little dry compared to the fairly moist pork chop. Both were seasoned enough with garlic, chilis and the very apparent MSG. 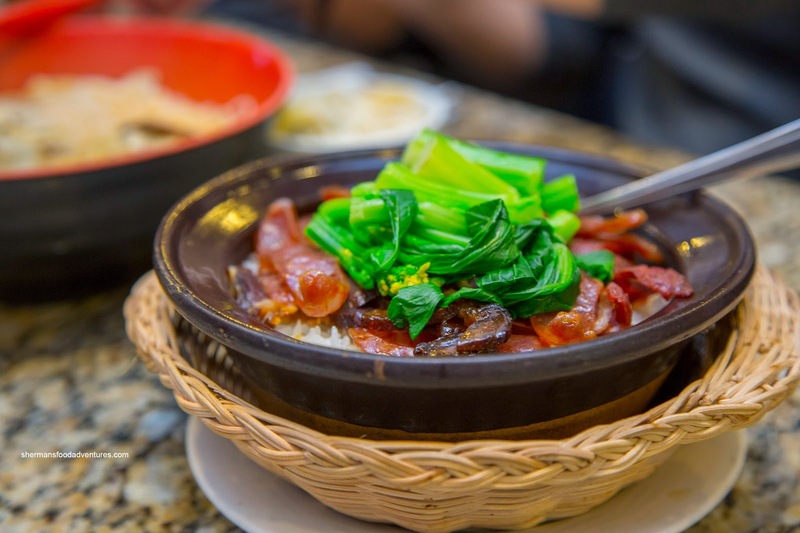 Onto their other "specialty" we got one each of the Sparerib Hot Pot Rice and Chinese Sausage & Preserved Meat Hot Pot Rice. Compared with the soups, these were much more pleasing. Since the spareribs were more wet, the rice in that hot pot wasn't as chewy. However, there was still a decent rice crust which was not burnt or too hard to eat. There was plenty of flavourful spareribs which were easy to chew while exhibiting some bounce texture. 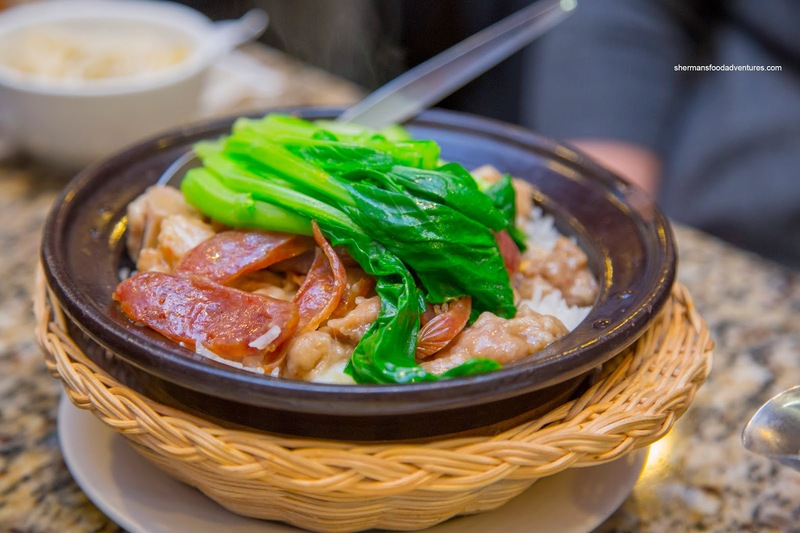 For the "Lap Mei Fan", the rice was much nuttier and chewier (with the help of the fat from the sausage). The rice crust was even more crunchy here due to the fat as well. 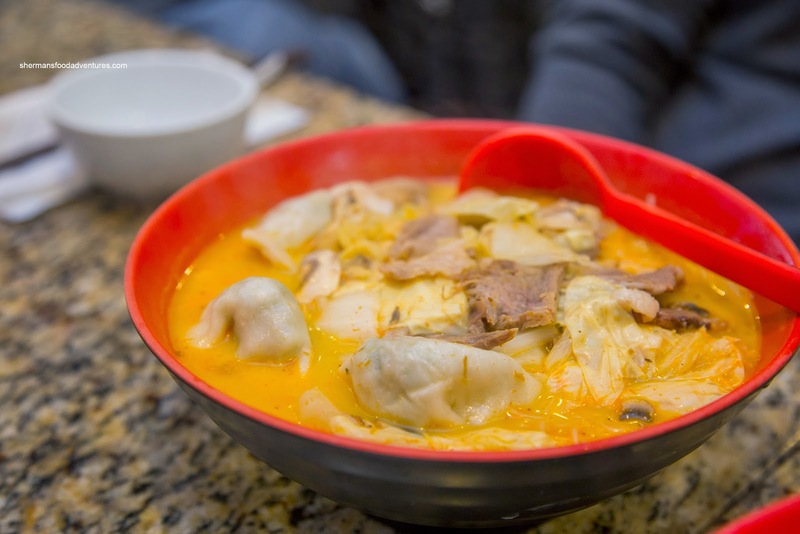 Moving to a staple of HK-style cafes, we had the 3-Item Meal. But first, it came with a choice of Borscht or Cream of Corn & Chicken. I had the cream soup and it was a fairly large steaming hot bowl. 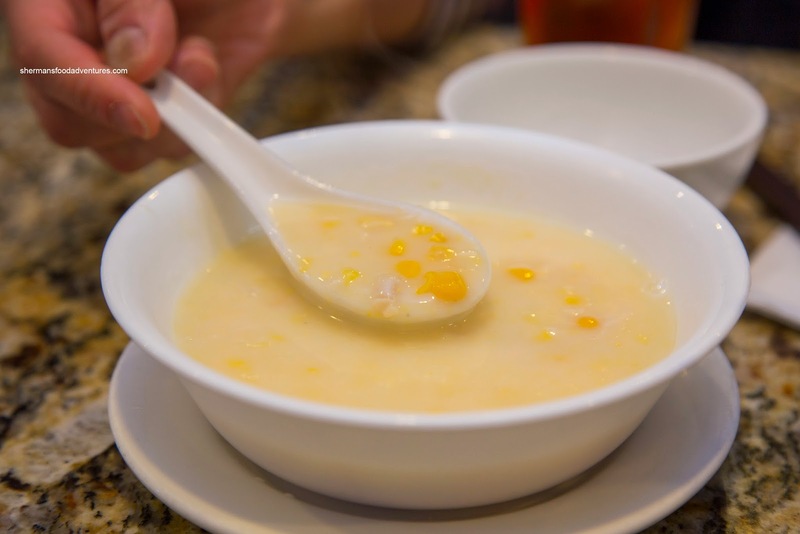 Although loaded with sweet corn and chunks of chicken, the soup itself was rather bland. Of course it was more starch-thickened than creamy, which didn't add much flavour as well. 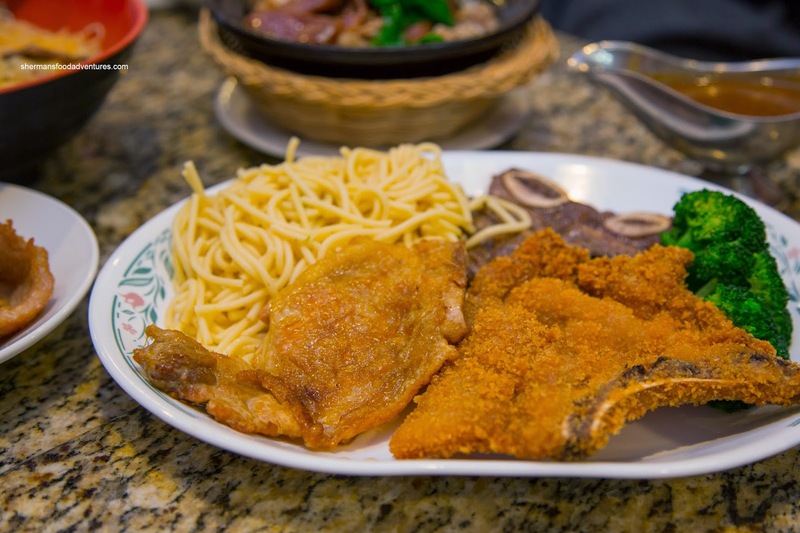 For our 3 proteins, we chose Chicken Steak, Fried Pork Cutlet and Beef Short Ribs with a side of spaghetti and black pepper sauce. The best way to describe this dish would be "home-style" because everything lacked finesse. The chicken steak was not really all that juicy while the skin was not crispy. The pork cutlet was crunchy, but lacking in flavour while the short rib was too chewy and missing any sear. As for the sauce, it had no impact. Lastly, we tried the BBQ Duck & Preserved Vegetable Vermicelli. As with many of the other dishes, this was not very tasty. Considering the ingredients, it was a bit strange to taste barely anything other than the onions. 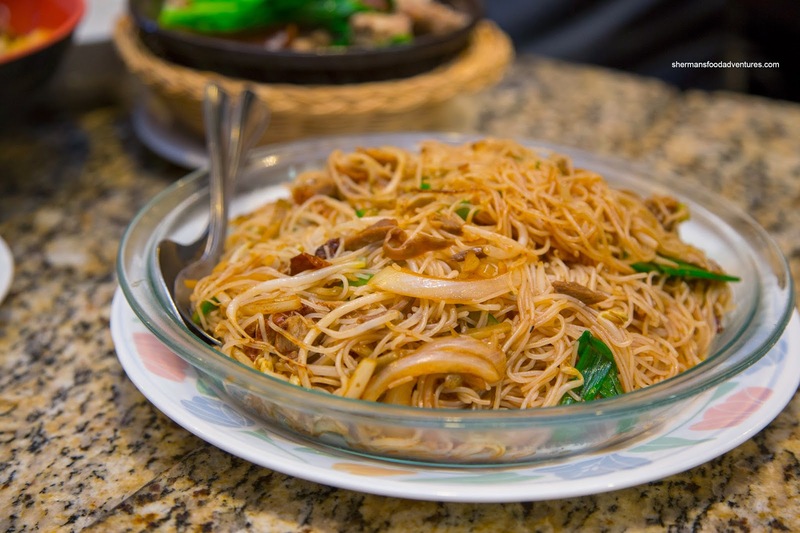 Beyond that, the noodles were not overcooked while the amount of duck was fair. 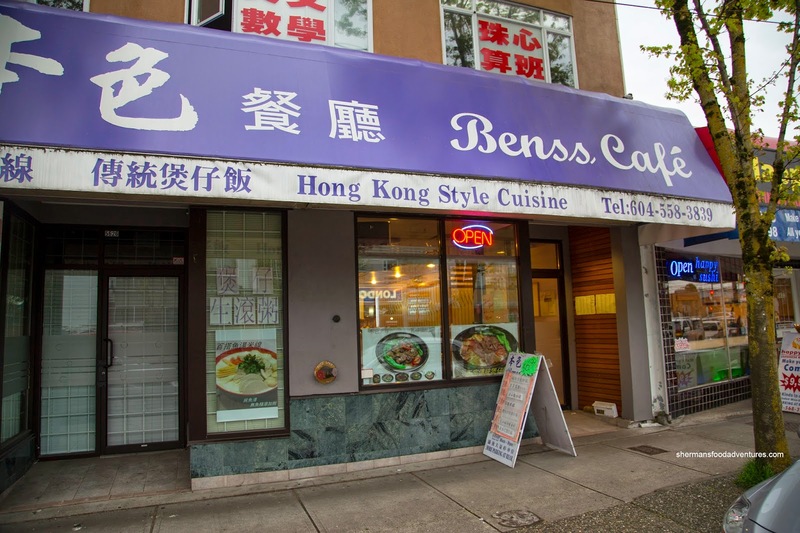 Overall, as you can probably guess, the food at Benss Cafe is average at best. Nothing was particularly terrible, yet at the same time, the food didn't elicit any feelings of a return visit either.